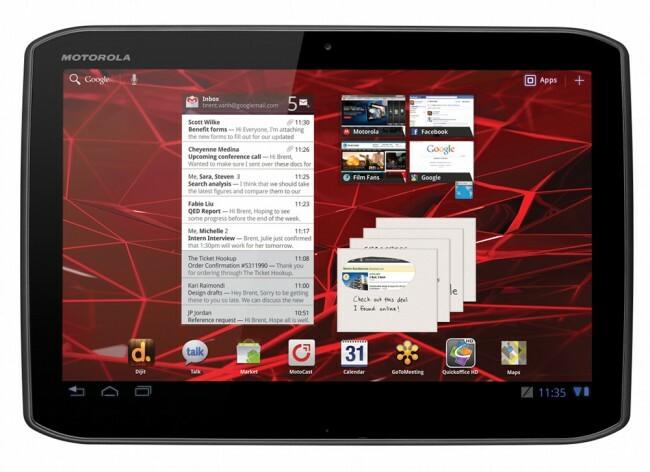 Motorola introduced the XOOM 2 and XOOM 2 Media Edition this morning to the UK and Ireland. Both tablets have been leaked time and time again, but everything is now official. The XOOM 2 will sport a 10.1″ screen that is much brighter and more vibrant than the original XOOM, runs a 1.2GHz dual-core processor, MotoCast, Android 3.2, and has similar styling and splash coating to the DROID RAZR. The XOOM 2 Media Edition is really just the smaller version of that with an 8.2″ screen that has 178 degree viewing angles and is as light as they come. It has been optimized for entertainment, while also managing to house dual cameras, 1GB of RAM and that same 1.2GHz processor. Both tablets are WiFi-only. Neither has a quad-core processor like the new Asus Transformer Prime, but they do seem – at least on paper – to be much improved over the original XOOM. Can they compete with the next gen tablets that are just around the corner? Tough to say. U.S. availability has not been announced yet – mid-November for the UK and Ireland. 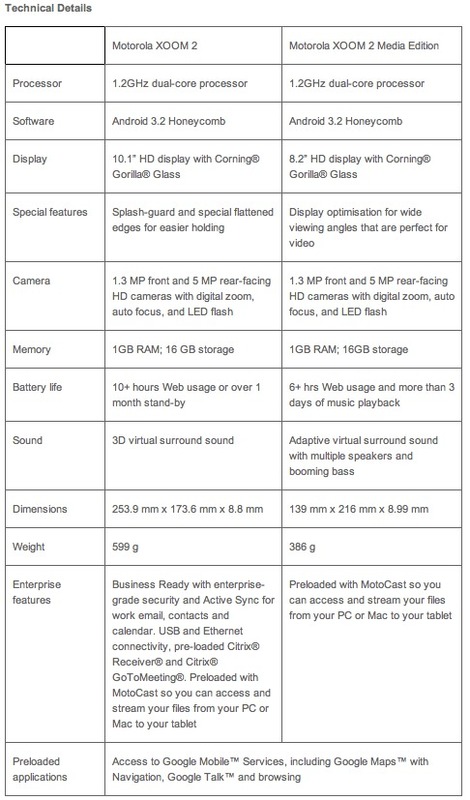 We most definitely know that both tablets are headed to at least Verizon in a variety of sizes. Motorola XOOM 2 and Motorola XOOM 2 Media Edition, Wi-Fi variants will be available in the UK and Ireland in mid-November. Carphone Warehouse customers in the UK can pre-register here.